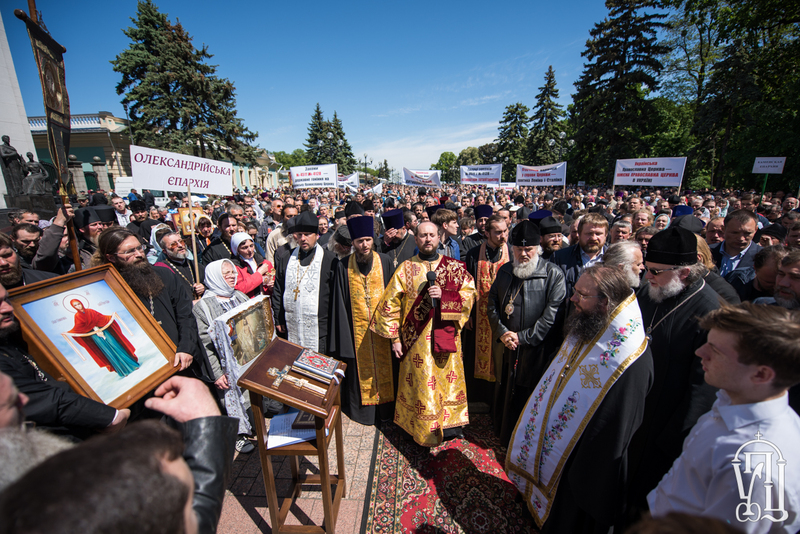 Moscow, May 18, Interfax - Hundreds of people on Thursday were blessed by Metropolitan Onufry of Kiev and All Ukraine in the Kiev Mariinsky Park near the Verkhovnaya Rada, where a prayer is being conducted, the information and education department of the Ukrainian Orthodox Church of the Moscow Patriarchate said. The people who have gathered for the prayer oppose the adoption of the anti-church Bills №4128 and №4511, which are on the agenda of the Ukrainian parliament session and which they believe are discriminatory. 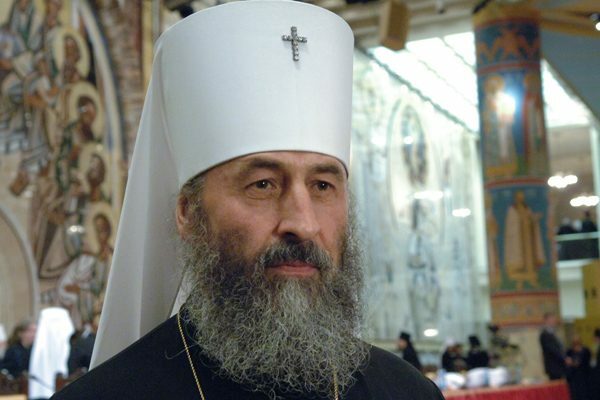 The Ukrainian Orthodox Church believes Bill №4128 may legalize “church raiding” and Bill №4511 may establish control over the work of the Ukrainian Orthodox Church (Moscow Patriarchate). Metropolitan Onufry, who called on parliamentarians to prevent the adoption of the bills, which he said are “not only anti-church, but also anti-state and anti-people,” blessed and thanked the believers who have gathered at the Verkhovnaya Rada building. According to the Ukrainian Orthodox Church, some 10,000 believers and clergymen from various regions of Ukraine are participating in the prayer. The people are praying “for the correction of the deputies who support anti-church bills included on the agenda of the session,” the information and education department said. Patriarch Kirill earlier called on the heads of state of the “Normandy four” countries, the Orthodox churches, Pope Francis, UN Secretary General Antonio Guterres to prevent the planned adoption by the Verkhovnaya Rada of Ukraine of two laws that are regarded by the Russian Orthodox Church as discriminatory.